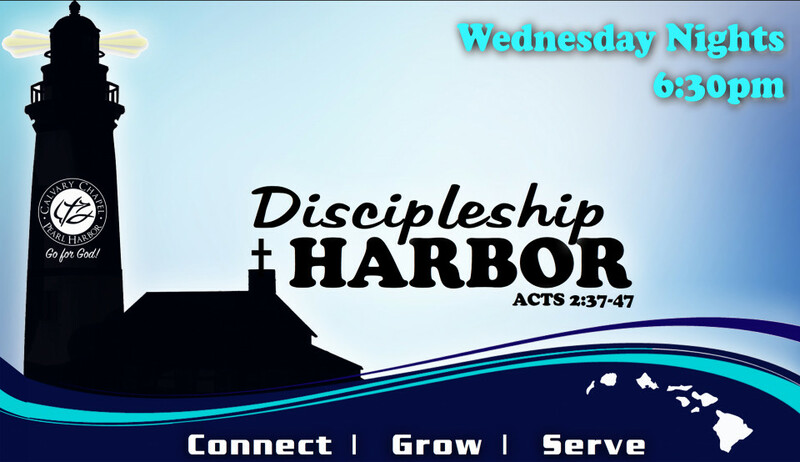 We invite you to come out on Wednesday Evenings for Discipleship Harbor. Discipleship Harbor was created to assist our church body in connecting with each other, growing in faith and serving the Lord. In 2 Peter Chapter 3 we are called to "grow in the grace and knowledge of our Lord and Savior Jesus Christ." Each of us has different growth needs at different times. At times we need to secure our "Anchors of Faith," prepare to be a "Beacon of Hope" for others or just dock at "Pier Agape" and learn the love of the Father to help guide us through the Christian life. Discipleship Harbor provides a variety of 12-week classes on Wednesday nights. Please select the class that interests you most. Each 12-week session ends with a worship night. Most classes can be entered at anytime (especially the book of the Bible class) or will be repeated if under demand. Class schedules are subject to change so please check back for future sessions. Pastor Derald would like to recommend the below links if you wish to research the following topics. Answers in Genesis is an apologetics (i.e., Christianity-defending) ministry, dedicated to enabling Christians to defend their faith and to proclaim the gospel of salvation! In-depth scientific and biblical information regarding the creation/evolution controversy. Creation or evolution? It makes a big difference! Over 8500 trustworthy articles. Evidence for biblical creation. Warns of "unbiblical teachings and practices impacting the church." A Christian worldview and apologetics ministry offering resources to help you think biblically about a wide range of topics. In Torah, Proverbs 30-4 says, and what is His Son's name, if thou canst tell? ExAdventist Outreach is a ministry of former Seventh-day Adventists to those seeking biblical answers on Adventism. Official Ex-Jehovah's Witness Page-Vital Information and links. 101 strange beliefs and practices of Jehovah’s Witnesses. An examination of the Roman Catholic church and how it differs from Biblical Christianity. ... Apologetics. False Religions ... You're wondering what Roman Catholicism is doing listed as a false (aberrant) religion. Bible Questions Answered by GotQuestions.org! Fast and accurate answers to all your Bible Questions! 425,070 Bible Questions Answered! Do you have a question about God, Jesus, the Bible, or theology? Do you need help understanding a Bible verse or passage? Are there any spiritual issues in your life for which you need advice or counsel? Hope For The Heart is a worldwide biblical counseling ministry of June Hunt that offers biblical hope and practical help through 100 Topics. Dave Ramsey - What is Financial Peace University? We all need a plan for our money. Financial Peace University (FPU) is that plan! It teaches God's ways of handling money.